5 Bedroom Detached Bungalow For Sale in New Romney for Guide Price £350,000. 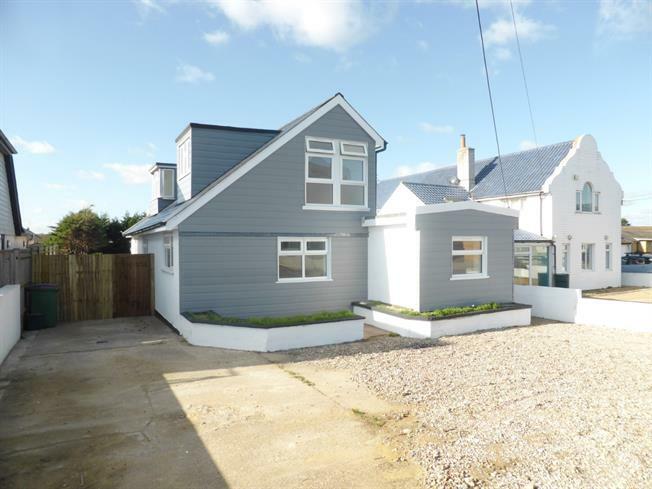 Guide Price 350,000 - 375,000 Extended five bedroom detached chalet style home with sea views across the dunes. Downstairs the lounge is to the rear of the property with French doors leading to the rear garden. Separate dining room. Kitchen/breakfast room with range of wall and base units. Three double bedrooms and bathroom. Upstairs are two further bedrooms and shower room. Off road parking for several cars to the front and large rear garden.